Matt welcomes world-renowned pianist Jim Brickman on the first Talk For Two of 2017. Jim Brickman is the most-charted Adult Contemporary artist in history. A songwriter and pianist, he has multiple gold and platinum records, two Grammy nominations, and a Canadian Country Music award. He also holds a Dove Award from the Gospel Music Association. 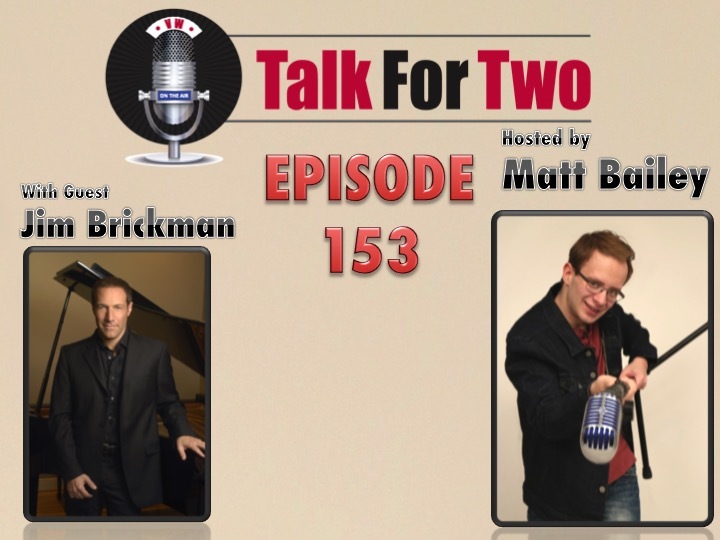 Talking with Matt, Mr. Brickman opens up about his early passion for piano, and how he did not find the stage until his late 20s. The pair also discuss what in means for an artist to have cross-genre appeal. Above all else, Mr. Brickman notes that authenticity is the most important, no matter the style of music. Jim Brickman will be brining all his hits and more with him when he appears with the Allentown Symphony on January 21st. Tickets are still available and can be found at the Miller Symphony Hall website. Find out more at Jim Brickman’s site as well. Stay tuned after the interview for a preview of KAX 2017, including what you can expect from our upcoming live interview with Academy Award-Winning visual effects artist Michael Lantieri. Click here for more information and to register for the 4th annual Kidabra-Axtell combined conference.